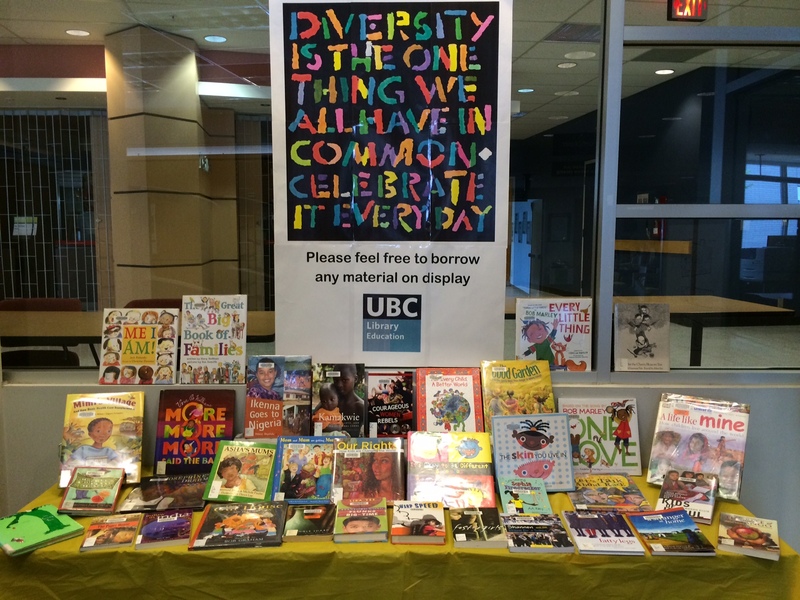 We’ve put up a great collection of books over here at the Education Library that we feel capture the idea of celebrating diversity. From books that have main characters of different backgrounds to picture books showcasing what it’s like to grow up in different cultures to kids’ books that embrace loving who you are and those around you –we have a great selection to browse! Coincidentally, this display coincides with the launching of the #WeNeedDiverseDooks campaign on Twitter, Tumblr and the Internet-at-large. Read more about this much needed campaign, which has gone viral almost overnight, in this Salon article.